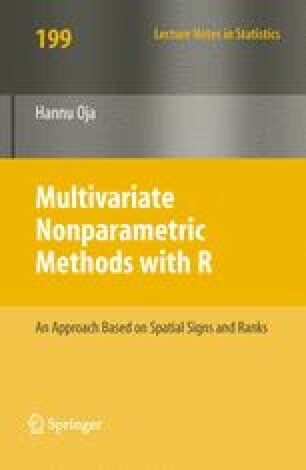 The spatial sign score function U(y) is used for the one-sample location problem. The test is then the spatial sign test, and the estimate is the spatial median. The tests and estimates using outer standardization as well as those using inner standardization are discussed.